From top: Corporal Janice Comeau, Bombardier Andrew Van Rooyen and Gunner Elias Kheirallah climb up to Joshua Tree; a Dutch armoured convoy prepares to leave Forward Operating Base Martello. In the mountains around Forward Operating Base Martello, the enemy are like ghosts; they hide among the villagers and emerge for battle only when and where they choose. Mostly they stay out of sight, firing their mortars and rockets from a distance. Sometimes though, they attack in force. 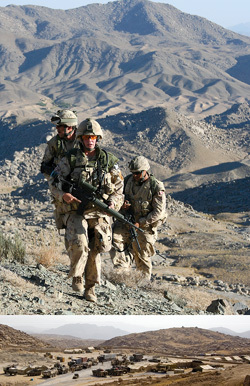 Just after dark, on Sept. 4, roughly 80 of them materialized out of the mountains and assaulted Martello, a Canadian base well north of Kandahar, Afghanistan. From high ridges on three sides they opened up with mortars, rockets and heavy machine-guns. For the first hour or so it looked bad. Everyone was pinned down and the enemy was closing in. An attack this big and this well co-ordinated was a surprise–the enemy was trying to overrun the base. At the time of the attack, Martello was being held by a small group of Canadian soldiers and a large force of Dutch air assault infantry. The Dutch were filling in for the Canadian task force that was pulled down to Panjwai to take part in Operation Medusa, a huge offensive in the region south of Kandahar city. But in late September, with Medusa complete, the Canadians returned to Martello with the intention of reasserting control over the now unruly area. This is the story of their first four days back at the base. Martello sits on a plateau above the village of El Bak, alongside the thin road leading from Kandahar to the city of Tarin Kot in Uruzgan province. It is at the far northern edge of the Canadian military’s area of operations. The base is surrounded by mountain-sized piles of jumbled stones and jagged ridges. Everything is covered by a deep layer of the most unbelievably fine dust. Basically, the place feels like a construction site on the moon. El Bak, on the other hand, looks like the seventh century. It’s a collection of mud compounds, irrigation ditches, footpaths and angry donkeys. The several hundred people who live in El Bak are not exactly friendly, but not openly hostile either. In the old Afghan tradition, they are hedging their bets, waiting to see which side gains the upper hand. On Friday, Sept. 29, just a few hours after the Canadian force arrived back at Martello, Dutch Battle Sergeant Major Frank (last name withheld) gave a detailed briefing on the events of the last several weeks. 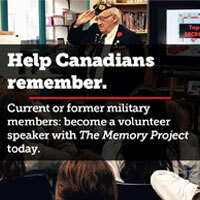 Standing up on the base’s high point, Frank showed the group of Canadian soldiers where the enemy placed their guns and how the Sept. 4 attack unfolded. At about 6:45 p.m. the insurgents opened fire from three mountain ridges overlooking the camp. They attacked both the front and rear gates, they shot up the command post (CP) and the sleeping tents and they targeted the fuel bladders and the observation posts (OPs). During the early moments of the attack the camp was in chaos. The Dutch mortar positions were under heavy fire and could not respond. Since most of the insurgent firing positions were beyond the range of small arms, it was left to a couple of machine-gunners along the wall and a few Dutch armoured vehicles to fight off the attack. At one point the insurgents advanced below the camp’s northern OP and to within a few hundred metres of the camp perimeter. The fight finally started to turn for the Dutch when one of their vehicle’s cannons managed to take out the insurgents’ main gun position, a 12.7-mm Russian heavy weapon at a point known as the Joshua Tree, which sits about 1,200 metres above the camp. On Saturday morning the Dutch begin to pull out, leaving the Canadians to fend for themselves. Bravo’s company commander, Major Geoff Abthorpe, will be leaving too. Not that he wants to go, but on Friday Bravo Company lost its first soldier when Private Josh Klukie died after stepping on a mine in Panjwai. Abthorpe will go back to Kandahar to see him off. When the Dutch leave, the place feels empty. The force now at the base–comprised mainly of RCR’s Bravo Co. and elements of 2 Royal Canadian Horse Artillery and 2 Combat Engineer Regt.–is barely enough to man all the defensive positions along the perimeter. A Canadian sergeant jokes that they should put stuffed dummies around the camp. On Saturday afternoon the first patrol heads outside the wire. It’s tasked with climbing one of the nearby mountains–called Big Rock–to check for signs of enemy activity. Leading the patrol are Warrant Officer Jim Murnaghan and Sergeant Mark Gallant, two old friends who turn out to have an unusual ability to say funny things in pretty much any situation. That’s not to say they aren’t tough leaders, however, because whenever Murnaghan gives an order his troops respond as if he had directly yanked on their brainstem. Three infantry soldiers from Bravo Co. are coming too–corporals Joey Chow and Brad Kilcup and Master Corporal Billy Cornish, along with two combat engineers–Sapper Matt Cloutier and Cpl. Glen Warner–and a diminutive Scottish-Canadian medic from 2 Field Ambulance–Cpl. Janice Comeau–who will carry almost 120 pounds of gear up the mountain. As the patrol heads out the big M777 howitzers start blasting the hilltops around the base in a fierce show of force. After climbing for about an hour to get to the top of Big Rock the patrol finds piles of enemy shell casings, probably leftover from the Sept. 4 attack. “Yeah, but we need to get off this rock first,” says Murnaghan. With the man disappearing quickly, the patrol rumbles down the steep mountainside, scrambling over 10-foot-high rocks and jumping across big gaps. By the time the soldiers get down the man is nowhere to be seen. The patrol spreads out across the small plateau. The setting sun bathes the whole place in a kind of orange glow. The sound of kids playing in the walled compounds below echoes up the valley. Everybody just sits and watches the village, waiting to see what will happen next. Just then another Afghan comes around the corner of the mountain, a few hundred metres away. “There’s a guy coming up over here–dressed in black. Could be a Jedi,” Gallant shouts back to the group. “Look out for his light sabre,” replies Murnaghan. Chow gets tasked to go out and intercept the man for a search. “We’re going to get him to stop, lift his shirt, and then spin around,” Murnaghan tells Chow. Without a word Chow moves forward. Murnaghan and the interpreter move in. The man doesn’t seem too interested in the offer, and he goes on his way. So does the patrol. Back at Martello everybody cracks out the rations and has dinner. Luckily, there are some American and Dutch meals around, which are a nice change from the heavy Canadian meals. Life isn’t too bad for the troops at the base. Though most of the tents have bullet holes in them, there are a couple of TVs and some older DVDs to watch. Not that the war doesn’t provide enough entertainment, however. At night you can watch flares shoot up into the mountains, for example, or listen to the fighter jets circling overhead or even get scared silly when the sudden firing of the big howitzers shakes your skull. It’s no disco, but it’s not bad. On Sunday morning, one day after resuming control of Martello, a mixed group of infantry, engineers and artillery strikes out on a patrol through El Bak up to Joshua Tree, the single lonely tree on a high rocky ridge overlooking the camp. It’s quite a feeling to walk out the gate with 10 soldiers when there are 80 enemy fighters in the area capable of co-ordinated military action. The spectre of an ambush is not lost on anybody. After going through the edge of El Bak, the patrol passes a series of marijuana fields then climbs a steep ridge and enters a wide, empty valley. Martello is out of sight. “Three guys coming towards us fast, coming down off the mountain,” shouts Cornish. “Engineers, up on that side, Kilcup and the guys up on this side,” Murnaghan barks and the patrol spreads out, ready for whatever. It is three young men with big beards and it’s kind of strange for them to be way back here in the middle of nowhere. Chow goes forward to search them. After the search Murnaghan moves in. He asks rapid fire questions through the interpreter. What are you doing back here? Where do you live? Where do you work? When did you start? What village again? Have you seen any Taliban? The man says he hasn’t seen Taliban in months. “Tell him we needed to make sure he didn’t have any weapons or explosives tied to his body,” says Murnaghan. “There’s another two on the hill there,” says Comeau in her Scottish accent. She crouches behind a boulder and brings her rifle up into the firing position. “They looked over and then they went back again,” she shouts. “The near one,” Comeau replies. Gallant begins moving over. When he reaches Comeau’s position, he crouches and brings his rifles up to spot through the scope. “See those rocks straight ahead? To the left of there,” explains Comeau. As she and Gallant watch the mountains, Murnaghan finishes up with the three men and sends them on their way. “Sgt. Gallant, we’re moving out,” he yells. “Did you see those two guys who ducked behind the hill there, after they saw us?” asks Gallant. “Yeah, they’re probably long gone, don’t think we’re running and catching them,” replies Murnaghan. Gallant kind of shrugs and looks at Comeau. “My heart’s beating like a rabbit,” he says. She laughs gently and the patrol moves off up the next ridge, in the direction the men disappeared. A few hundred metres up the trail the patrol finds a cassette tape along the trail. “This is music for religious people,” says the interpreter. “It looks religious, there’s tanks and missiles on it,” says Murnaghan, referring to the cover of the tape, which does indeed have tanks and missiles on it. “It must be Taliban. Most of it is songs for battle,” says the interpreter. “Motivating songs?” Murnaghan shakes his head. Everyone suspects that the three guys they just searched dropped it when they saw the patrol. A few hundred metres later, the patrol finally reaches the ridgeline that leads to Joshua Tree, and promptly takes a break. While sitting on the ridge, an older woman and two children suddenly appear a few feet away. She’s questioned too. She says she’s never seen any Taliban either. “There’s someone else coming up the path,” Comeau reports. “We got one person coming up the trail,” Gallant confirms. There’s a distant speck on the valley floor. It must be the man Comeau saw. “I think he’s just going to walk by,” says Gallant, looking through his scope. Sure enough, the man saw the patrol, paused and walked down the valley instead of coming up the ridge. It doesn’t faze Murnaghan, who lays in the dust peering over the ridge, down into the next valley, a place he calls a major Taliban centre. “A lot of education I think is the key to getting rid of the Taliban,” he says, periodically looking at distant targets through his scope. “The farmers don’t know their options, you know what I mean, the villagers they don’t know their options. We’re just another armed group like the Taliban. We need to show them that life can be better without the Taliban. We have to convince them there’s another way. Despite the sarcasm, there is an understanding that this is how the ghostly enemy operates–when questioned they pretend to be friendly villagers but once out of sight they resume their violent campaign. Back inside the wire, one of Bravo’s young leaders, Lieutenant Jeff Bell, describes the basic problem facing the soldiers at Martello. “Imagine you’re one of those villagers and somebody tells you all these bad things about the foreigners, that we’re here to steal their land and take their crops. Now imagine these foreigners come in, they look different, they don’t speak the same language, they have a different faith, they have all sorts of strange equipment. And over the years they’ve seen this before, strange people come in and slap them around and tell them what to believe. You wouldn’t know who to trust. That’s why we’ve basically got to teach them how to learn. So they can form their own opinions about things, then they can make up their own minds about what they want their country to be like. Just before lunch on Monday the sound of a loud, but distant, explosion echoes through the valley. In a place like this, distant explosions aren’t unusual and nobody really stops to think too hard about it. A few moments later a couple of guys are getting coffee. “Was that the engineers?” one of them asks. “No, somebody said it came from up behind Joshua Tree. There’s smoke up there,” the other replied. Sure enough, it was clear to see there was smoke coming from behind the tree. It was an interesting mystery–what could it be? Maybe it was an old mortar or a stray shell or something. In retrospect, it was a pretty clear sign the base was under attack. While staring up at the tree, absorbed in the mystery, the second rocket screeches overhead and slams into the soft ground 20 metres from the command post. It was a 107-mm-high-explosive rocket weighing nearly 20 kilograms and travelling several hundred kilometres an hour. The sound it makes coming in is vicious and very real. In what seems like half a heartbeat, before the dirt and rocks finish falling out of the sky, all hell breaks loose. Canadian heavy machine-guns begin hammering the area around Joshua Tree while soldiers sprint in every direction, away from the blast, toward their guns, toward cover. Bell runs by already covered up in full battle gear. “Down, down, get down,” he yells. But it’s hard to find any good cover. The fortifications here are only half complete. Reaching better cover requires a 200-metre sprint across open ground. More rockets could be seconds away and this is not a real good place to be. Just then Cloutier yells from a nearby Nyala armoured vehicle. “Get in here, get in, get in,” he screams through the hole in the three-inch-thick passenger-side window. It’s a quick run and a scramble up through the back door into the relative safety of the Nyala, where Cloutier and a group of engineers have taken shelter. These guys were working just metres from the rocket’s path; it pretty much flew right over their heads and landed close too. They’re all chattering, high on the adrenalin of a near miss. “Holy f–k that came straight in off the ridge,” says one. “It was close. It was close. It was close,” chants another. Boom. Another rocket hits maybe 100 metres away. Flying stones rattle off the Nyala’s heavy armour. Crack-crack-crack. It’s the 81-mm mortars returning fire, all four tubes blasting. The ridge around Joshua Tree erupts into flame and smoke as the big rounds impact fast and hard. “F–k ’em up,” Cloutier whispers as the mortars land one after another. It’s all quiet for a few minutes. The Nyala is facing the ridge head on and all eyes are on Joshua Tree, waiting to see if another rocket is inbound. The feeling is that the Nyala is pretty safe, but a direct hit wouldn’t be good for anybody. Two hours pass. Finally a Dutch Harrier shows up and does three high-speed runs across the ridges, dropping flares from its belly. “Did they send that thing from Holland?” jokes one of the soldiers. It turns out that the mystery explosion up at Joshua Tree was the first enemy rocket–fired from the ridge beyond–falling short. The next two were direct hits on the base while a fourth sailed long. A few minutes after the all-clear Murnaghan starts gathering soldiers to go up to Joshua Tree to check things out and look for the enemy. The climb up is determined and fast. Everyone seems to have a sense of purpose, if not anger. When the patrol is two ridges away from Martello the big guns open fire on a distant mountain; everyone jumps, but it’s just another show of force. A quick tour around Joshua Tree reveals nothing more than a whole lot of new shell holes. Whoever launched the rockets seems to have gotten away without consequence. The patrol hurries back to base before dark. It is another patrol without any sign or word of the enemy. All the villagers once again said they knew nothing. But despite their lack of co-operation, Murnaghan doesn’t seem to fault the villagers for their position. They’re in a tough spot and it’s hard to blame them for putting their own safety first. It appears to be a classic catch-22: the security situation around Martello won’t improve until people start giving Murnaghan information about enemy fighters; but the people won’t trust Murnaghan until they feel safe from reprisal by enemy fighters, which won’t happen until Murnaghan gets information. The fighters, meanwhile, have all the time in the world to cajole new recruits and plot their battles. It seems there’s no education without security, but there’s no security without education. Winning this war will not be easy. It’s just after dark on Monday night and the bright moon lights up the mountains. Murnaghan and Gallant hang out in a trench near the base’s front gate, telling old stories and laughing at the misfortunes of war. It’s cool and calm and for a few moments it doesn’t seem like such a violent place. But it is. The enemy is out there, watching. Everyone knows it now for sure, because today those ghosts in the hills emphatically reconfirmed their presence. “We are here and we will fight you,” the rockets seemed to say.